We had a charity bike ride for my daughter Hope yesterday which was an absolute success and we have raised just over £24,000 for it which is amazing. We had 42 bikers including husband and brothers and friends. 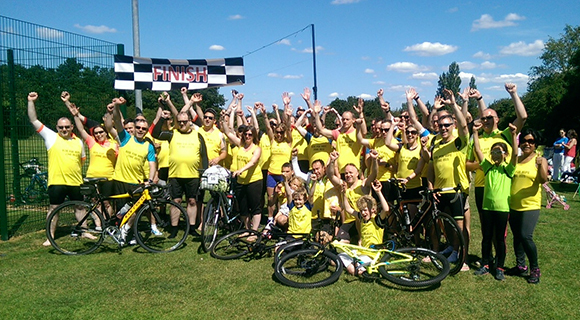 29 of them biked 60 miles around Essex and 13 of them biked 15 miles including 3 children. We were overwhelmed by everyone’s support and generosity which means that Hope has at least 3-4 years guarenteed private physio.